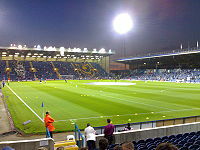 Fratton Park is a football stadium in England. It is the home stadium of Portsmouth F.C.. This page was last changed on 9 March 2013, at 19:11.